This month we sat down with RVi client Shaun Cranston to talk about his vision for 2012 and predictions for growth in Central Texas. 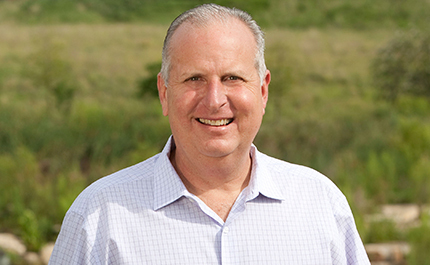 As Austin Vice President of Operations for Brookfield Residential Properties, Inc., Shaun led Brookfield’s entrance into the Central Texas market in 2004, and is spearheading the company’s growth throughout the area. With one community gaining traction and four more in the works, Brookfield is on the way to establishing itself as a major player in the residential landscape. This month we sat down to discuss Brookfield’s history, their goals for the new year and where they see opportunity in Central Texas. You started out in Central Texas under the name Carma, tell us a little about the transition from Carma to Brookfield. Carma started in 1958 in Canada as a new way to develop land but we’ve been owned by Brookfield since the mid 1980s. In 2010 we saw an opportunity to consolidate our businesses in the US and merge our land development firm, Carma, with our residential homebuilding firm, Brookfield. In 2011, we officially reorganized under the Brookfield name. We’re currently in 10 markets in Canada and the US and the reorganization has really helped increase our market penetration. People that move to Texas from California are familiar with the Brookfield brand and we now have that recognition. Brookfield is not currently building homes in Texas but the merger has granted us access to a great talent pool in both residential construction and land development. That has helped us better understand our homebuyers and how builders think. What drew Brookfield to Central Texas? Everything that draws other people to Texas, drew us here – a great quality of life, economic opportunity, low cost of living, ample room for expansion of land, ample room for expansion of business – the list goes on. Brookfield is a major player in the Canadian market so when we began further expanding the company, expansion in the US was a natural plan. When you examine the US market, Texas has always been a key growth market and the shining star within Texas has always been Central Texas. All the great things that make people want to call this place home are the same things that make us want to build great places to call home here. What makes a Brookfield Community successful? How does a Brookfield Community differentiate itself from others? When we design a community we design it on the basis that there has to be a better way – a better way to solve the whole ”live, work, play” equation. We work very hard to design a plan that not only includes various housing types but also various amenities. By amenities we mean not just the buildings, but the natural amenities. We work closely with local organizations to identify what’s going to be important to the people who live here and to identify the various elements that are going to make this a great community – things like churches, firestations, schools, parks. It also means various home products. Whether you’re a first-time home buyer, someone with a full house of kids, or someone that’s downsizing; if we build our communities successfully – you should have a place to live within the community. In our mature communities in Canada that’s very relevant – almost 1 in 2 sales there are to people already within the community. Tell us about the strategic study / market analysis process you use to identify locations for communities. We choose markets and land locations much the same way. We look at a map and identify where growth is occurring, where it’s going to occur and why it’s going to occur. Certain pockets in the country exhibit those qualities that tell you, “you want to be in there”. On that same basis we then look at a specific market – like Austin – and try to identify those aspects – where is quality of life high, where will jobs be created, where will transportation routes be available, where is infrastructure available – those all point to where growth is going to happen. The number one reason growth is going to occur in certain areas is because opportunity is there – opportunity for job growth, opportunity for home growth. So where is growth going to occur? We think it’s the Austin – San Antonio corridor. We think in 20 years Austin – San Antonio will be one metroplex much like Dallas – Fort Worth. The Austin – San Antonio corridor is where the energy is. It’s 80 miles center to center, very close, and you have great cities all along the corridor. There’s a great cohesion along the corridor with communities like New Braunfels, San Marcos, Kyle and Buda all working towards this one goal – making this a great place to live. And it’s a commutable distance. Couples living in San Marcos can have a husband working in Austin and a wife working in San Antonio. On top of that you’ve got this great amenity – the Hill Country. This corridor is the gateway to the Hill County. There are opportunities to go tubing, climbing, hiking, camping and people associate the Hill County with quality of life and opportunity. So what current project is most exciting to you? I think Paso Robles in San Marcos is a really exciting opportunity. It’s a great opportunity to bring Hill Country living, higher end homes, and an active adult lifestyle to an area that has historically been a great place to live but never had great places to move in to. Homeowners will get all the amenities and beauty of the Hill Country together with city water and services, and all the amenities that city living offers. There’s a huge demand for this kind of product along the I-35 corridor. People want this to happen and they want it to happen sooner rather than later. The local market has a lot of pent up demand that we’re hearing from and we haven’t even started to reach out to surrounding communities. I’m excited to get moving on this project. We’ve created a great partnership with Sunrise Communities and are actively working with them to get that project launched in 2012. This is really a combination of a great plan and great partners that are going to make this a great place. Partnerships with local municipalities plays a key role in many of your projects, explain to us some of the reasoning behind that and some partnership examples. What’s different about us it that we look at the whole lifecycle of a project – from the very beginning acquisition of the land to when the last family has moved into the community. The city plays an integral role in every step of that whole process – whether entitlements, permitting, variances, infrastructure, etc. If you’re going to be working with someone for 10 – 20 years, it should be natural to want a partner and to seek their blessing, input and help on everything you do – not just from the practical side but also from the philosophical side. You want them to help you build a great community. This is not a zero sum game – we win, they lose – it’s about building the best community possible. That means everyone wins. With Blanco Vista and Paso Robles, we’ve formed a partnership with the City of San Marcos. We see the City as a huge stakeholder. They have a vested interest in building the best communities they can and when you work together, you can create a win-win for everyone. At Blanco Vista, the City of San Marcos owned land between our community and the Blanco River. They had plans to create a soccer park there but didn’t have the money. We worked out a deal that we would pay our parkland dedication fees up front which would allow them to have funds to pursue matching grants and get started on the park earlier. It cost us some upfront dollars but it got us a great partnership and amenity right outside our front door. The park is full every week and our residents are benefitting from it. We identified a similar partnership with the school district. The district viewed Blanco Vista as a good location for a new elementary school. Instead of selling them the property, we decided to give them the site, realizing this would move things along more quickly and allow them to raise funds more rapidly. Additionally because the building didn’t have the land costs normally associated with a new school, the district was able to upgrade the school and get the best components onsite which helps draw the best teachers and resources and that means we now have a great school in the middle of our community. Those returns aren’t all calculable and that’s not why we’re doing it. You can’t measure good will – but we do get to see it every day in the faces of parents and kids that walk to school or the 800 kids that don’t live in Blanco Vista but drive through the community every day on their way to school and see that this is a great place to call home. 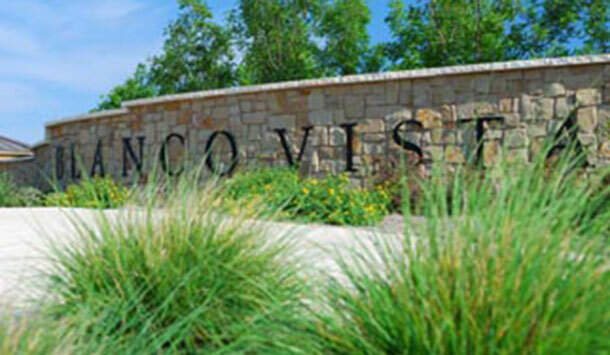 Your relationship with RVi began with Blanco Vista and has continued now on Paso Robles. Tell us a little bit about why you work with RVi and what RVi brings to your projects? We really look for partners in our consultants. We try and have a holistic look at who we’re aligning ourselves with over the long term. We want like-minded partners who are looking to work with us for the long term. When we met RVi in 2004, I could tell right away that RVi cared very much about the land and the quality of community and who was living there. They cared about the things we cared about. They share our philosophies and vision and so it was a very natural fit for RVi to become involved in our projects. Because of that we’ve been loyal to RVi. We think building relationships and communities are about long-term commitment. From RVi we get great ideas and a great value for the dollars we spend. I get a sense that RVi is as committed to the communities as we are and that RVi believes in our vision just as much as we do. What’s next on the horizon for Brookfield? Are you targeting more projects in Central Texas or do you see opportunities for expansion elsewhere? We’re very focused on getting our existing communities up and running right now but we feel very strongly about Central Texas and the growth potential here. That means that if we do identify something we think fits our goals, we’re open to looking at it.